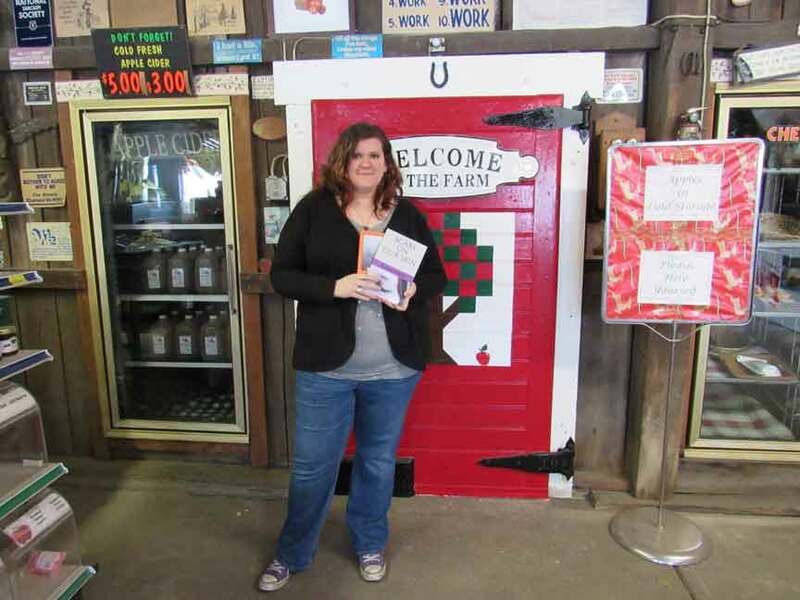 HARPERSFIELD TOWNSHIP – After enduring over 16 years of domestic abuse, local author Sara Frank has published two books that encompass the pain, confusion and growth she experienced to reach those who have experienced or are experiencing domestic violence and help raise awareness on the number of people that are affected. Frank’s books, I am Ravven White: Just Another Story But It’s Mine (published in January 2018) and Scars on Our Skin (published in 2019) are books of poetry, Frank’s favorite form of literature. “I’ve always been particularly drawn to poetry because it’s expressive and very emotional. I grew up in an environment where emotions were not encouraged. We were not allowed to be expressive at all. To me, poetry was a special kind of outlet. So when it came time for me to tell my story, I found that poetry was the easiest way to express it. I could talk about things and address things without being so direct, like regular non-fiction,” said Frank. Frank lived in Lake County for 16 years as the oldest of seven and grew up in an abusive environment. Eventually, they were able to leave and lived in a shelter for three months until having to live in a secret location so their abuser couldn’t find them. “I moved around a lot in my late teens, early twenties. But I was able to graduate from college,” said Frank. She attended Lakeland Community College where she graduated with a biology degree in 2012 and eventually moved to Ashtabula County. “Even after we left, and I was away, when I had started to talk to people about what I have gone through and experienced, people didn’t believe me. They said it couldn’t have happened, it couldn’t have been that bad, but it was, it is,” said Frank. Frank hopes her books raise awareness on domestic abuse and bring a voice to those that are experiencing or have experienced domestic abuse. “I hope that if someone has read my book and has been through it [domestic violence], or is going through it, they can understand what they’re feeling is normal, and it’s alright, and they are deserving of help, because they deserve something better,” she said. Frank describes how her childhood abuse has affected her. Currently, Frank is happily married and she and her husband are expecting their first daughter in June. Frank is grateful for her family, especially her in-laws. On the front of her books, you will see Frank’s pen name, Ravven White, which holds a deeper meaning than creativity. On April 11, Frank will be speaking at Main Street Retreat at 10 West, Main Street in Madison for a monthly “Author of the Month” series starting at 11 a.m.
“Those that pick up my book, if someone hasn’t gone through domestic violence, but maybe know someone that has, they can gain a lot of insight about what it’s like, maybe, for that person,” said Frank. Frank has advice to those that are in domestic abuse situations, or have left domestic abuse situations. Won’t be the same tomorrow. As I choose to live today. But I will never be, again. Sara Frank holds her books, I am Ravven White: Just Another Story But It’s Mine and Scars on Our Skin. She is hoping to help victims that have experienced or are experiencing domestic violence, while raising awareness on the number of people that are affected.